Caroline Leavitt's new novel, Cruel Beautiful World (Algonquin), is, according to our review (see it below), an astute family drama with "the heart-pounding moments of a thriller and the heart-warming moments of a perfect coming-of-age story." Leavitt lives in Hoboken, N.J., with her husband, the writer Jeff Tamarkin, and acting student son, Max. We asked Leavitt if there is a backstory to Cruel Beautiful World. She said, "When I was 17, I sat behind a girl in high school who had a 30-year-old, controlling fiancé. When she broke up with him, he stabbed her 45 times. I was haunted. I wanted to write her story, but I couldn't understand how she could have stayed. Not then. "Fast-forward 10 years. My fiancé had died suddenly, and to escape the cataclysmic grief I hurled myself into a relationship. My new boyfriend monitored what I ate until I weighed 95 pounds. He didn't want me to see friends and he read my e-mails. Why did I stay? Because the alternative--grieving--was worse. But then, thinking back on my friend's story, it gave me courage to leave. "People tend to think that abuse is always physical, that people punch or scream. I wanted to show how insidious it really could be. I lived in a gorgeous Upper West Side apartment with this man. We went out and did a lot of things. But hearing vile criticisms and orders in such a soft, kind voice over and over made me doubt my own sanity and wonder if he were right. And that scared me." Sassigassity is one. Mental Floss defined "7 delightful Dickensian words." Pop quiz: "Can you guess which classic books these opening lines are from?" Buzzfeed challenged. Headline of the day: "Google swallows 11,000 novels to improve AI's conversation," the Guardian reported. "Burtonize your wardrobe for the Miss Peregrine's Home for Peculiar Children movie," Quirk Books advised. Bustle suggested "11 desk accessories every book-lover needs in their working space." A major turning point for Quirk Books was the 2009 publication of its "first pop hit," Pride and Prejudice and Zombies, president Brett Cohen says. 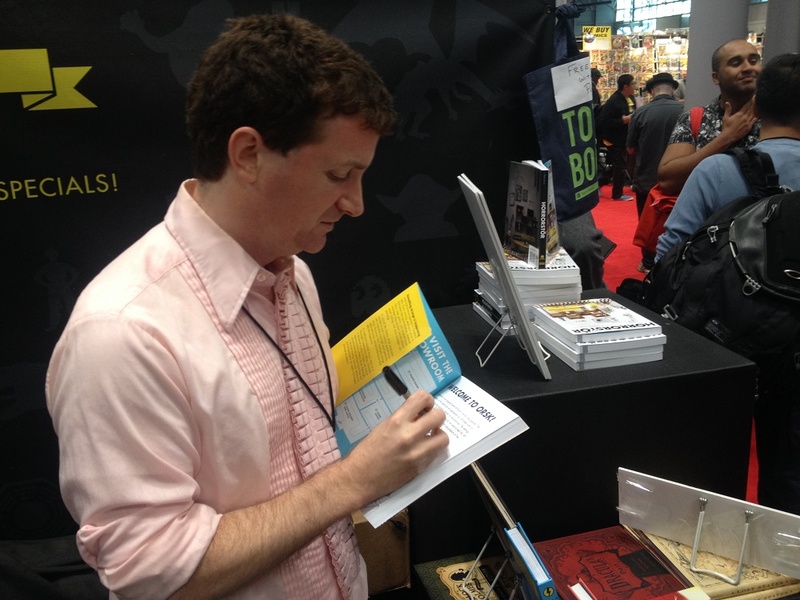 Another major turning point also occurred in 2009: that's when Quirk Books went to its first Comic Con. It was the granddaddy of all Comic Cons, the one in San Diego, and it "definitely helped us hone in on a market segment"--the kinds of pop culture books that appeal to ardent fans. Cohen remembers it as "an eye opener." Most attendees weren't familiar with the house and asked if it was a store or a publisher. But many of them were familiar with individual titles, Cohen recalls. "They were standing in our booth, pointing at titles, saying, 'I have this book. I have that book. I have this book.' " Instantly the company realized that it had a strong fan base among Comic Con's deeply passionate fans. Those Comic Con fans are not just consumers, but include many people who are important in the business. "We meet a lot of people from comic book shops, from lots of indie bookstores, teachers and librarians," Nicole De Jackmo, director of publicity and marketing, says. "The booksellers tell us what does well in their stores and the things they love. A lot of them handsell our titles." Publisher Jason Rekulak echoes this sentiment, saying that the essence of Comic Con is "being in a 10x10 booth for five days interacting one on one with attendees. It's a business setting, but everyone's geeking out, and they say what they love and what they hate. You know it's real." Cohen says "the best part is when fans are in the booth selling our titles to their friends--or even to other people who've walked up who they don't know." This fan base helped the company focus as it grew into new areas. After publishing Pride and Prejudice and Zombies and attending Comic Con, he continues, "we saw we could do fiction in a way that's fun and different, including great design and cool packaging." This helped the company avoid the problem of some publishers that have "undefined brands." Cohen explains: "For us, it started the branding experience and answered the question, 'What does the logo on the spine mean?' "
Nowadays you can find the company at three other major comic cons besides the one in San Diego: New York Comic Con, Emerald City Comicon in Seattle and C2E2 in Chicago, roughly one show per quarter. The company keeps connected with this audience year-round via social media and its popular blog, which Cohen says has "great content that appeals to bookish pop culture fans." De Jackmo called many Quirk readers "early adopters" who enjoy meeting authors and finding out about new books. "They want to discover great new talents and great new reads and share them with friends and the Internet. They want early access." Quirk Books believes so much in the power of early adopters that it plans an unusual series of events next spring that aim to help independent bookstores bring the comic con experience to fans who don't live near the cities that host the major comic con shows. Quirk will select key titles, preview upcoming books, supply "cool comic con giveaways and swag," as De Jackmo puts it, and bring authors to certain locations. The events aim to draw the many "young readers who are into comics, graphic novels and all things geeky" and highlight the many "strong, female character-driven titles" that will come out next year, including Geekerella by Ashley Poston and The Spectacular Sisterhood of Superwomen: Awesome Female Characters from Comic Book History by Hope Nicholson (more on these two titles below) as well as this year's Wonder Women: 25 Innovators, Inventors, and Trailblazers Who Changed History by Sam Maggs. Quirk Books is having "a great year" for movies, Cohen notes. 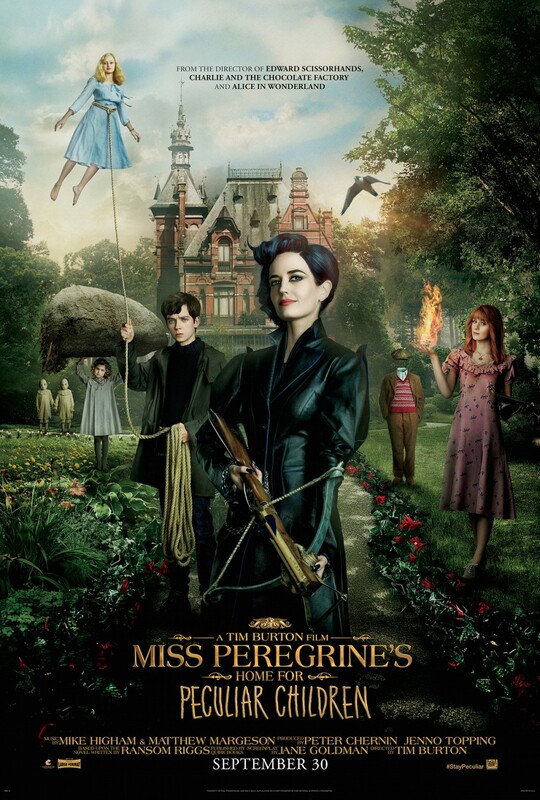 In February, the film version of Pride and Prejudice and Zombies was released, and a movie based on Miss Peregrine's Home for Peculiar Children is out now, just two examples of how many Quirk titles lend themselves to movies. "A key element," Cohen says, "is that our books are strong, commercially-driven ideas that translate well to the screen." The company has options on and is in development with other titles. Cohen notes that Quirk has a Hollywood agency that's constantly pitching titles, and says that at Comic Con, BEA and Bookcon, production companies come by and ask what's available. Free love reigns in the United States of 1969, but 16-year-old Lucy Gold, "the pretty towhead" and "live wire" of her tiny family, isn't going to its hub in San Francisco. Instead, her passionate affair with her high school English teacher, William Lallo, has turned into an invitation to run away with him to rural Pennsylvania, where he'll teach at a self-directed private school and Lucy will stay out of sight until she turns 18. To Lucy, a romantic idyll beats staying home, where she has always felt like the odd one out next to her brainy, responsible big sister, Charlotte, and their loving aunt Iris, who raised them from childhood when their parents died in a car accident. With Charlotte ready to graduate high school and talking nonstop about college, Lucy can't stand the thought of being left behind. Bonded for years by their love for Lucy, Charlotte and Iris panic when they find her farewell letter. As time passes with no sign of their prodigal child, Charlotte leaves for Brandeis University, but comes home to care for Iris with increasing frequency. A big-hearted, sensible woman, Iris hides a bittersweet past and a secret--she isn't the girls' aunt. Discover: Caroline Leavitt weaves an absorbing story of family, love and tragedy set at the dawn of the 1970s. The previous three volumes in Lian Hearn's feudal Japanese epic, The Tale of Shikanoko, served as character study and setup for a conclusion focused on the much-anticipated battle between the series' two opposing forces--warrior and sorcerer Shikanoko of the Kakizuki (the deposed and rightful heirs to the throne) and Lord Aritomo and Masachika of the Miboshi clan (ruling party of the Eight Isles). Twelve years have elapsed since the warrior-sorcerer Shikanoko began his journey to protect and restore Hidden Emperor Yoshimori to the throne. In that time, Shikanoko has betrayed those who have loved and mentored him, raised and abandoned a mystical band of orphan boys, and forsook humankind to mourn in grief over a lost love, hovering in spiritual purgatory with a magical deer mask fused to his face. Lord of the Darkwood (Book 3) alternated among the viewpoints of the children that Shikanoko abandoned in his grief. In The Tengu's Game of Go, they have matured and are seeking him out, either for revenge in the ongoing power struggle with the Miboshi clan, or with intent to restore his humanity so that he may fulfill his destiny of bringing peace back to the Eight Isles. The novel's climax is the final showdown between the warring clans. Discover: Lian Hearn concludes her medieval Japanese epic with a final, power-defining battle of magic, sword and sorcery. With style and intrigue, Patrick Hoffman's Every Man a Menace proves that his top-flight debut San Francisco crime novel, The White Van, was no fluke. Here, the drug of choice is Molly (aka MDMA or Ecstasy), and Hoffman's dealers are occasionally hapless, but more often just plain ruthless. A former Bay Area private investigator, Hoffman unwinds his story from the murder of a small-time ex-con caught in a high stakes double-cross deal. He later adds in a San Francisco Filipina Molly queen's cross-border drug chain, the Miami club owners who broker the product and the Asian packagers who manage global distribution. Set largely in San Francisco, Miami and Bangkok, Every Man a Menace vibrates with punchy prose reminiscent of authors like Dashiell Hammett, Elmore Leonard and John Burdett, who made those cities their own. There is no sentimentality along Hoffman's drug chain--it's all about the money. The ex-con in the novel's first of five parts sets the tone: "He liked making money from drugs, from illegal s**t. It made him feel high." Handshake agreements are only good if the money follows, as when the Miami brokers assess a deal with the Molly queen: " 'Can she be trusted?'... 'Of course not. But she has the money.... She'll buy it, come back, buy it again.' " No surprise--when the size of the deal gets big enough, handshakes and a table of comped drinks give way to betrayal, Glocks and bodies buried at sea. There are no heroes here. Hammett, Leonard and Burdett will need to make room for the new gunslinger in town. --Bruce Jacobs, founding partner, Watermark Books & Cafe, Wichita, Kan. Discover: Hoffman's second crime thriller is an edgy, crisp, compulsive portrait of the merciless players in the international Ecstasy trade. Lacy Evans couldn't wait to escape Coldwater Cove, Okla., when she graduated from high school. She moved to Boston, established herself as a high-end designer, and never stopped to look back, until her business partner (who was also practically her fiancé) absconded with their funds and their receptionist. Broke and heartbroken, Lacy heads back home to Coldwater Cove after a decade away. She's unsurprised to feel a tug toward Daniel--her high school sweetheart, who is now the sheriff and estranged from his wife--but she is astonished to find Jacob Tyler, high school football star and notorious heartbreaker, back in town. Jacob lost a leg in Afghanistan, but his charming smile and flirty ways quickly remind Lacy why everyone in Coldwater Cove always loved him. Can Lacy figure out how to get out of the debt that her ex-partner racked up on their behalf, without the local busybodies finding out about it? And can she do it without losing her heart again? Discover: Bankrupt and sad, Lacy Evans returns to small-town Oklahoma and is surprised to find love and happiness. In Dinner at the Long Table, restaurateur Andrew Tarlow (owner of Brooklyn's Diner, Marlow & Sons and others) and Anna Dunn (Diner Journal editor-in-chief, Saltie coauthor) offer recipes and stories about what the people in the restaurant industry cook in their own homes. They provide 17 meals' worth of recipes that are often exciting, risky or both--and cocktails to help in either case. The structure is for dinner parties, designed to serve between six and 10 people. Mediterranean and Middle Eastern cuisines suffuse many of the meals, which are organized seasonally. Highlights include a feast for the new year; a lunch of pickled eggs, panzanella and fried calamari sandwiches by the sea; and a harvest-inspired meal of sweet corn arancini, roasted fennel with fried quinoa, eggplant gratin and shortcake with sugar peaches. This cookbook demands a fearless streak. Cook times? Rarely specified, although one meal requires three days of prep. Even Tarlow and Dunn admit the difficulty: their recipe for aioli is titled "I almost always fail." The writers pepper kitchen wisdom and humor throughout, making Dinner at the Long Table a delight to read. On browning meat, they offer this tip: "If the smoke alarm goes off, the pot is probably too hot." Discover: A successful restaurateur and writer share classic and creative recipes from their personal kitchens. In 1992, Danish investment banker Annette Herfkens traveled to Vietnam to visit her fiancé, Willem. From there, the couple decided to take a romantic getaway. En route to a coastal resort, their plane crashed into the side of a mountain and plummeted deep into the Vietnamese jungle. Twenty-nine passengers and crew aboard the aircraft died, including Willem, leaving Annette as the sole survivor. Immobilized by serious injuries, Annette was trapped among the dead and dying, and existed on rainwater, aiming her focus away from her pain and fear. She concentrated, instead, on the green beauty of the jungle. Thus, positive energy provided sustenance that manifested into spiritual nourishment for eight days until she was finally rescued. Discover: The sole survivor of a plane crash recounts the experience and shares how the ordeal continues to inspire her life in hopeful, positive ways. Already well acquainted with wilderness at 20, Pete Fromm spent seven months in Idaho babysitting salmon eggs. He published his memoir of that experience, Indian Creek Chronicles, 13 years later, in 1993, beginning a career that combines outdoor adventure and strong writing (he's written for Gray's Sporting Journal and published numerous books and short stories). In The Names of the Stars, Fromm returns to an egg-tending gig, but this time as a very different man. A storytelling, lunch-packing dad of nine- and six-year-old sons in 2004, Fromm sees the month-long job as an opportunity for an extended outing with the boys: fishing, hiking, chopping wood. The Forest Service, citing liability, nixes that plan. But when his wife points out, "This is who you are. You need to do this," he leaves for Montana's Bob Marshall Wilderness alone, with anticipation as well as regret. The winner of five Pacific Northwest Booksellers Association awards, Fromm demonstrates his love of nature through shining descriptions of early spring in the wilds: bluebirds "almost aglow"; a "clot of elk"; rains "pelting, with furious gusts." His dry humor sparkles. During his daily trek through the "Hansel and Gretel" woods between his cabin and the fish eggs' Spruce Creek, Fromm repurposes his repertoire of bedtime kids' songs into grizzly-deterrent music, "rattling the cowbell, keeping time with Burl Ives, the Big Rock Candy Mountains." Discover: Pete Fromm's second memoir describes a life dedicated to the wilderness, culminating in a month of solitude caring for fish eggs in Montana. In The Spoils of War, New York University historians Bruce Bueno de Mesquita and Alastair Smith codify their thesis when they write about Franklin Roosevelt and World War II, "Like most successful politicians, Roosevelt was willing to risk long-term disaster... for America to avoid short-term political defeat." It's an unpopular view of Roosevelt, who is largely seen as a fearless wartime leader, but it's a perspective they apply equally to some of the United States' most popular presidents. They explore the executive decisions that led to some of the country's most definitive foreign and domestic conflicts. Their claim throughout is that while every president may have had genuinely altruistic motivations for involving the country in war, there were always ulterior motives that benefited their own political or personal ambitions. Mesquita and Smith endeavor to redefine and deconstruct the heroic mythology surrounding some of the country's most celebrated wartime presidents. They explain that, due to American history's tendency to romanticize its historic leaders, the true causes of war are often shrouded. The approachable and detailed historical context Mesquita and Smith provide is enlightening and effective. They assert, with operative facts and concise language, George Washington's duplicity in advocating for a war with the Crown not, as is believed, for independence but rather for access to fur-trapping territory. They argue that Lincoln's Civil War was built on a political strategy not to ensure abolition so much as to drive a wedge through a southern, anti-Republican voting block. Discover: This mix of biography, history and political theory uncovers some of the less-flattering causes for U.S. wars than popular history often provides. Poet, professor, critic and prose stylist Mary Ruefle has been a finalist for a National Book Critics Circle Award and won Guggenheim and National Endowment for the Arts fellowships, as well as a Whiting Award. 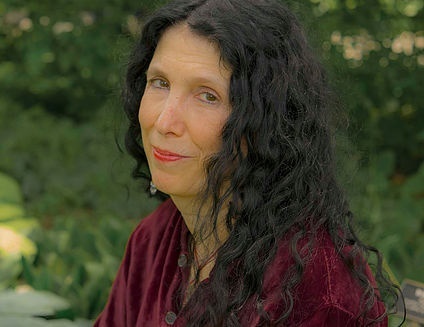 Her work, however, has largely appeared in the sheltered world of small presses and in her celebrated erasures, poems created by altering a published text. The exquisite collection My Private Property showcases her eclectic tastes and wry observations in a surprising array of prose poems. It opens with "Little Golf Pencil," about making a simple police statement, which leads into her elaboration that "in the beginning you understand the world but not yourself, and when you finally understand yourself you no longer understand the world." In the powerful "Pause," Ruefle tackles menopause, recognizing the harsh realization that "You will feel as if your life is over and you will be absolutely right about that, it is over"--only to learn in time about the freedom of a new beginning, where "Happy old age is coming on bare feet, bringing with it grace and gentle words, and ways that grim youth has never known." The title poem is a dip into the mysteries of shrunken heads, triggered by reading Thor Heyerdahl's Kon-Tiki. Christmas trees, a trip out to lunch with friends, keys, household servitude, mail-order packages--there is no subject that doesn't attract Ruefle's attention and lead her into a lively discursion. My Private Property has a provocative revelation hiding around every twist of her remarkable imagination. --Bruce Jacobs, founding partner, Watermark Books & Cafe, Wichita, Kan. Discover: Startling, enlightening and amusing, Mary Ruefle's collection of observations and meditations is a treat. Published shortly after his death at age 25, Max Ritvo's collection of poetry, Four Reincarnations, is a sobering yet joyful examination of life and its unraveling. Ritvo battled cancer for nearly 10 years, and he breathes in the full tragedy and routine nature of death simultaneously: "The new day is slid underneath/ the old days:/ the clouds can hear only themselves." He has an astounding ability to wring varied emotions, physical sensations and ambiguities out of each poem. They scramble the senses by painting sprightly, synesthetic landscapes: "The sound of burning vegetables/ is like a quiet, clean man folding sheets." He twists joy and sadness around one another until the reader can't distinguish between the two and quietly experiences both. Ritvo wrestles with the mutability of memory and the subjectivity of time. In "Afternoon," he visualizes his own death as both inevitable and already having happened. In "Plush Bunny," he pictures his small future stored in the same shoebox where he kept a stuffed animal he'd outgrown as a child. As the poetry community grieves Ritvo's death and celebrates his work, it's clear that the poet has already begun to reincarnate. One can only hope that his leaping imagination and clear-eyed psyche will reach widely into the living world. Ritvo dispenses bleak perspective and a generosity of spirit throughout Four Reincarnations, making this a collection to be savored and held close. As he writes in "The Watercolor Eulogy": "I know this isn't the heaven we wanted./ What ever is?" --Richael Best, bookseller, Elliott Bay Book Company, Seattle, Wash. Discover: A young man's battle with cancer is captured with stunning insight in this debut collection of poems. Melissa Sweet (Caldecott Honor artist of Jen Bryant's The Right Word: Roget and His Thesaurus and A River of Words: The Story of William Carlos Williams) has written and illustrated Some Writer!, the first-ever visual biography of E.B. White, the beloved children's book author, New Yorker columnist, poet, the "White" in Strunk and White's Elements of Style and true writer's writer. In a clean, engaging style and "clear, brief, bold" sentences fit for an E.B. White biography, Sweet takes readers on a journey through his life as writer, husband and father, starting with his earliest days in New York and blissful childhood summers in Maine. The elaborate, thoughtfully choreographed scrapbook bursts with colorful collages made up of Sweet's charming original paintings; whimsical dioramas and maps; abundant family photos; paper ephemera; vintage office supplies; pieces of old books; chunks of barn; eggs; leaves; and old typewriter keys. The pages whisper "labor of love." Sweet gives White himself the floor quite often, peppering quotations from his books, journals and letters throughout, all thoroughly sourced. Discover: Melissa Sweet writes and illustrates the first visual biography of E.B. White, author of Stuart Little and Charlotte's Web and a true writer's writer. For his 12th birthday, British-Indian Al (Albert Einstein Hawking Chaudhury, to be precise) gets a huge surprise when his mother gives him a letter from his deceased dad. It says: "You are about to learn, Al, how to travel in time." Could it really be possible to travel back in time and stop the fateful childhood go-kart accident that eventually killed his father? Either way, Al will have to tend to his other birthday surprise, too: a baby hamster named Alan Shearer. The thought of having his dad back again gets Al so excited it makes him "feel a bit sick." But part of him senses that the journey through time may be a "truly epically bad idea." Before Al can even consider warping the space-time continuum, he'll have to retrieve his father's time machine that's still at their old house, 10 miles down the English coast. In a fresh, funny, first-person voice, Al describes a series of schemes involving "borrowing" Grandpa Byron's mauve moped and getting help from his snarky gothed-out stepsister, Carly, by promising a séance. The plot of Time Traveling with a Hamster bears a passing similarity to the '80s film Back to the Future, but debut author Ross Welford's spin on it is impressively sophisticated. He addresses time travel's complicated questions head-on, including the grandfather paradox, the butterfly effect and the question of whether the same person can exist twice in the same moment. Al's devotion and bravery, together with the message that a kid can make a difference for a beloved adult, will grab tweens and young teens by the heartstrings. --Jaclyn Fulwood, lead librarian at Del City Public Library, Okla. Discover: In this engaging British import, 12-year-old Al Chaudhury travels back in time to try to prevent his father's death. The Liszts, a rather sober lot, make lists. Lists of ghastly illnesses, small winged insects and shades of black. Indeed, "They made lists in winter, spring, summer, fall. They made lists every day except Sundays, which were listless." The youngest child, Frederick, makes lists of fun things to do, such as drawing the four horsemen of the apocalypse. The oldest, Winifred, is fond of "top ten lists" (#1 on her cheese list is Roquefort). The middle child, Edward, makes 31-page lists "to quiet the swirl of his midnight mind." One day a large adult visitor who, inexplicably, is carrying a bouquet of helium balloons, enters the Liszts' stately home through the open front door and tells Mama, "I'm here." He's not on her list, so she can't be bothered. The visitor tells Papa--and almost everyone else--"I'm here"--with similar results. But when he finally approaches Edward, the boy greets him with a shy "Hi." Edward has a list of questions, and so does the visitor; between them their questions fill three pages with handwritten capital letters. Visitor: "HOW DO I KNOW MY LIFE IS NOT A DREAM?" and "WHERE ARE MY PANTS?" Edward: "DOES ANYONE OWN THE MOON OR THE SKY?" and "WHY AM I RIGHT-HANDED?" Discover: In this splendidly odd picture book, the Liszts make dozens of lists, but a curious, uninvited visitor makes them realize it's important to leave room for the unexpected.